Document template feature of Dynamics CRM 2016 came as a big relief to many consultants like us whose only option prior to that was to go to customer and speak about mail merge and many a times which was not liked by customers much. However the introduction of word and excel template features in Dynamics CRM 2016 never ceases to amaze the customers and has made the life of consultants like us much easier. Now coming to word templates, one big disadvantage while accomplishing from the CRM UI is that it cannot be done for multiple records. You have to do for each individual record which is quite cumbersome right? Well you have a quick fix for that. 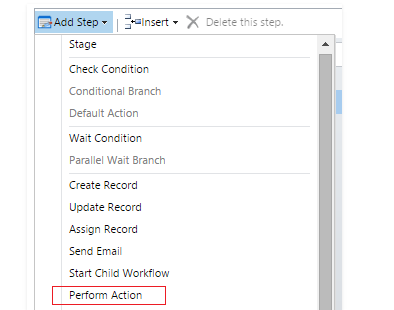 There is a new step introduced in the workflow called Perform Action Step and using that you can actually set the word template for an entity. So basically the idea is you can have an on-demand workflow which will use this step to set the word template to the target entity type and then coming back to the UI, you can select multiple records and run the workflow. And your very complex workflow will attach the word template to each of the records you selected the workflow to run. You could view the the attachment in the annotations section for each record. Well so far so good. But wait, are we missing a link here. Hell yeah! All the examples you find on this topic are all using OOB entities and indeed all the examples work great. But to be honest, in most of the cases we end up designing lot of custom entities for the customer. So what if we need to do something similar for the custom entities. Well then you have a problem. Let’s explore that. 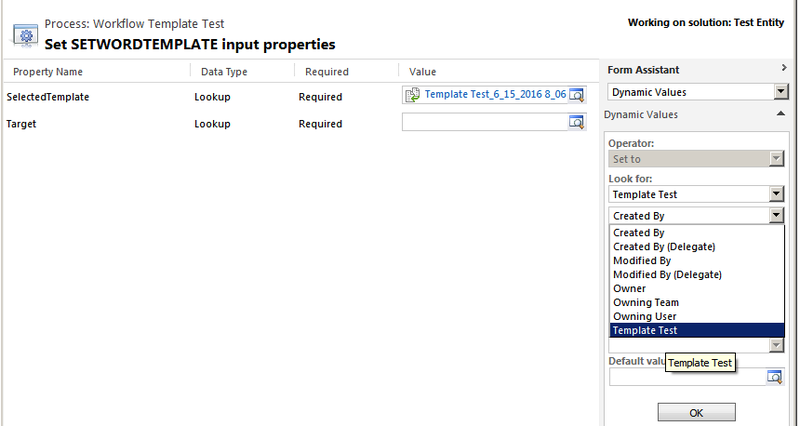 I have created a custom entity called Template Test. I created a global word template for the custom entity. Now I create a workflow of on-demand type which will set the word template to the custom entity as the target. Oops! What happened here? The problem here is that while selecting the target, the entity is not showing up in the Form Assistant like the one it shows for OOB entities like Account and Contact. As weird it may sound, enabling business process flow for the custom entity would indeed make your entity appear in the form assistant for the target field. 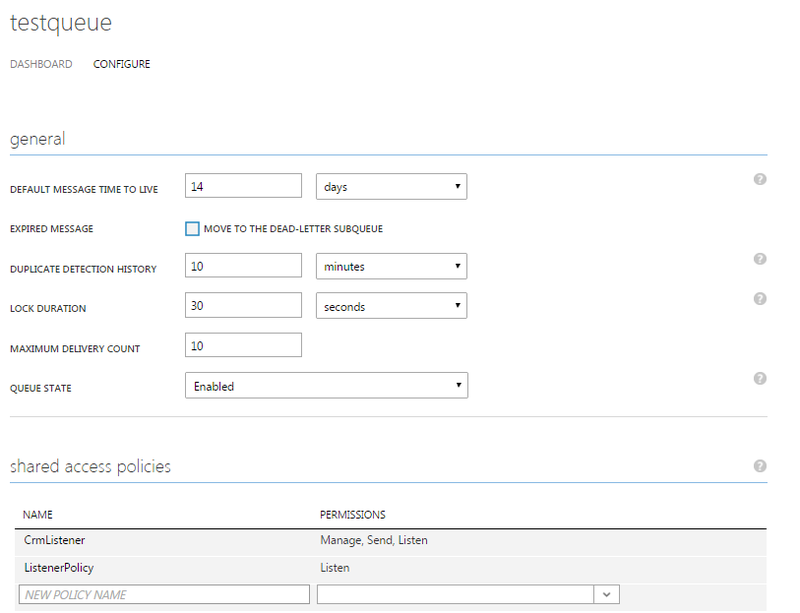 Go to your entity customization and check the checkbox for business process flow fields creation. Save and publish the entity customizations. Now come back to the workflow created earlier and click on the target field. You should be able to set it to the custom entity. You actually do not need to create the business process flows for the entity. Just enabling it to support business process flows would do the trick for you. Create a on-demand workflow for your custom entity which would invoke a custom workflow assembly. The custom workflow assembly would set the word template programmatically using the below code. A small stuff but enough to waste your days researching on the same. 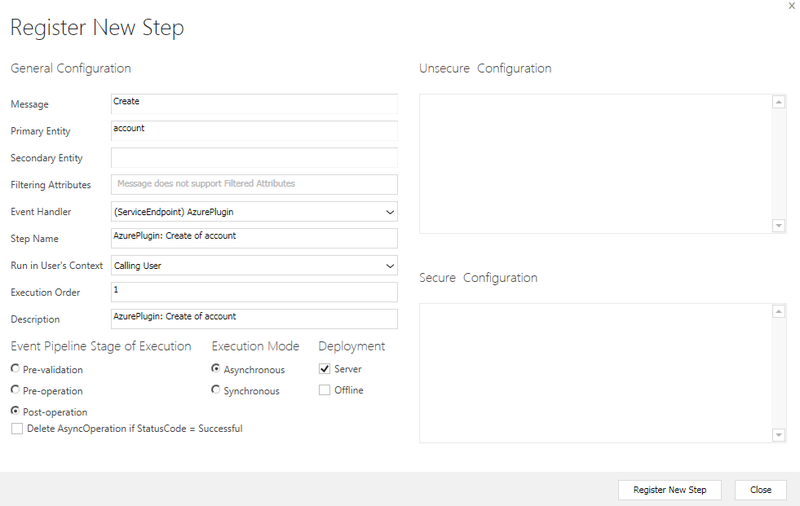 This blog post is a continuation of my previous post in which I explained on how to get SAML Token programmatically for your Dynamics On-premise environment configured with claims. If you have not read the previous post, I strongly suggest to read it and come back to this. In this blog post, I will show you how to read the SAML assertion token that was obtained in the previous step. This would be typically done by applications who are relying on your SAML token to authenticate the user and many cases would be handled by a separate. But knowing a bit more never really harms. So if you are interested, let’s proceed. Our main intention here would be to parse the SAML token and get the user’s claims from that. But there is a problem here. The SAML assertion token would be encrypted by the certificate of your relying party. So the decrypting party would need to have the certificate to decrypt the SAML token. Just to give you an idea, the SAML assertion token would have the following format. So let’s proceed with it. 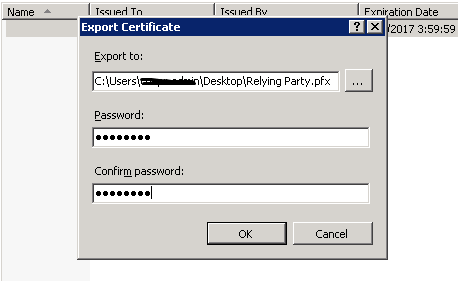 Export it as .pfx file since you need the private key as well in the certificate to decrypt the SAML assertion. Since the certificate is exported as pfx file, you need to give a password here. Remember the password, this would be need later in code. Click OK. The pfx file would be created in the location that you provided. Copy the .pfx file and store it in a location from client application which consumes the SAML token, can access. The rest is very simple. Below is the sample code which would read the SAML assertion and get the claims back. 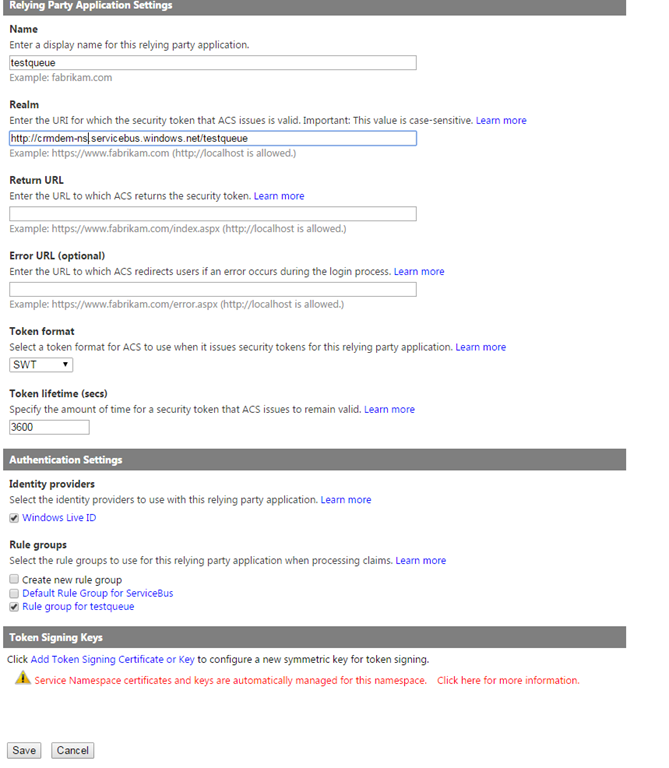 Saml2SecurityToken samlToken = token as Saml2SecurityToken; // Getting the SAML token here. // Use this to convert it into JWT token and pass on to the web-api. Since you are able to decrypt and find out the claims, you application assumes that it is being originated from your Dynamics CRM. You can use these claims and then convert it into JWT token. As a CRM Consultant we come across myriad of requirements. Of them some are our day-day stuffs. But the ones which puts us in a bit of head scratching and brainstorming are the ones which gives us the maximum satisfaction when completed. And this was one of them. Our client had configured IFD for their Dynamics CRM 2015 on-premise environment. They had a WebAPI web service to which CRM needed to communicate. After initial discussions with the customer, the idea was to pass the SAML token from Dynamics CRM as one of header values in the web api call. The WebAPI would then parse the SAML token from the header of the request and then read the claims to authenticate the caller and send the response back to CRM. So first things first. 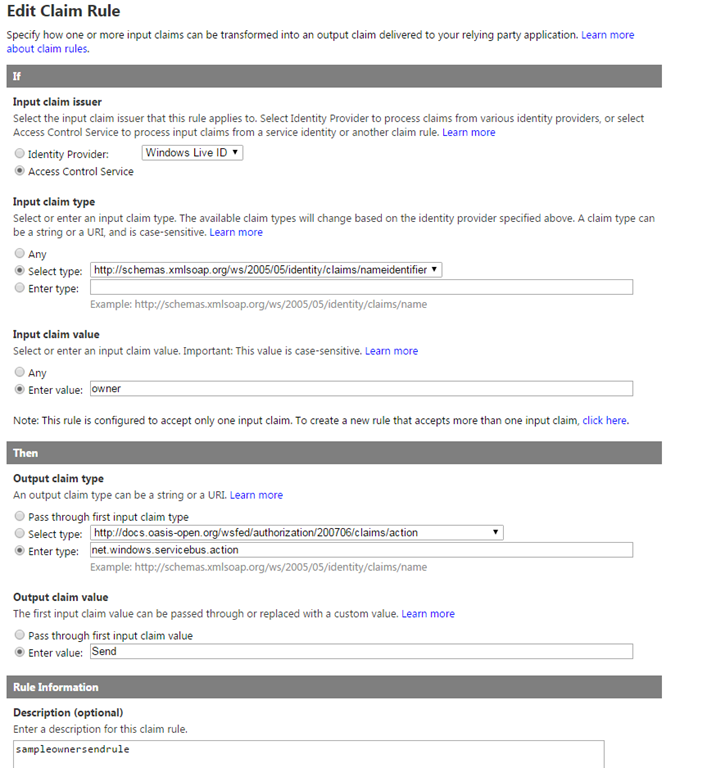 We have to pass the SAML token as one of the header values in the web-api call. How to approach this. Let’s understand the mechanism here. For people who already know this, it’s like a repeat but for readers who are unaware of this, I will try to put it in very simple terms. User tries to login to Microsoft Dynamics CRM. Since user could not present a valid SAML token to CRM, CRM redirects the user to ADFS login page. User enters the username and password. 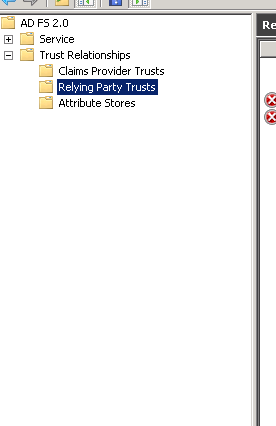 ADFS has active directory configured as trust store. It takes your userid and password and validates it against the identity provider which is your active directory. IF the credentials are correct, Active directory issues a token which contains the claims for the user. 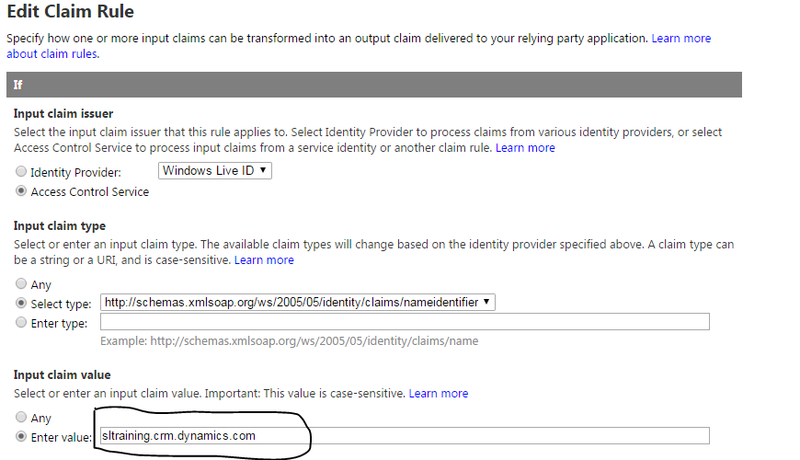 ADFS then converts the claims and puts into the SAML token with the claims which are understood by your Dynamics CRM. 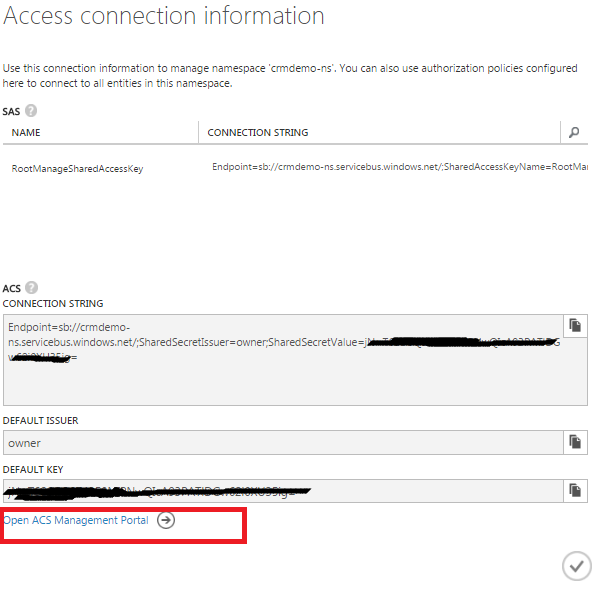 The user now sends another request to Dynamics CRM and this time with a valid SAML token. CRM now allows the user login. Now coming back to our topic. Since our intention is to get the SAML token here, if we take an analogy, we have to replicate the whole process as above but without user intervention. Wait? What is the problem then? The problem the user’s credentials which needs to be passed to get the SAML token. How can we do this then? 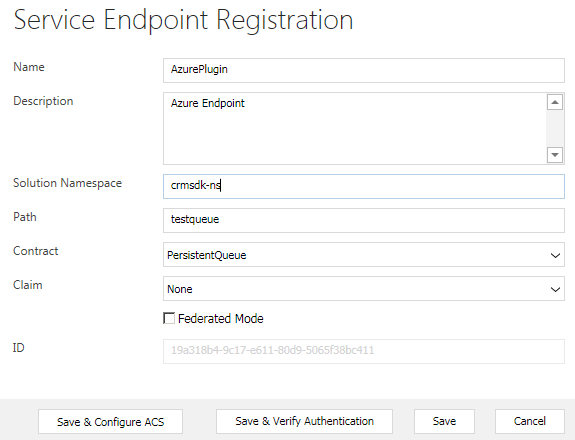 The solution is to use execution users credentials and to do that we have to replicate the sign-in process. To do that the first thing make the user hit the SignOn page of ADFS. Open your ADFS server and then open ADFS Management window and click on relying parties. 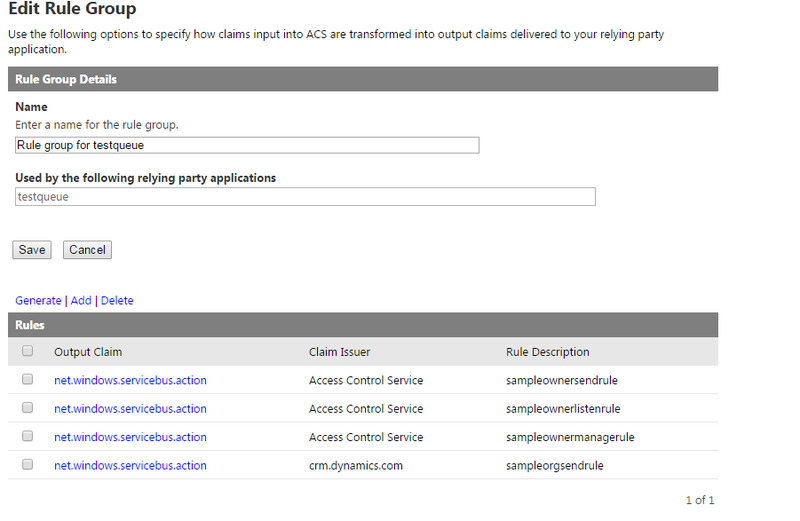 Select the Relying Party trust for your CRM and then right click-> Properties and go to EndPoints. 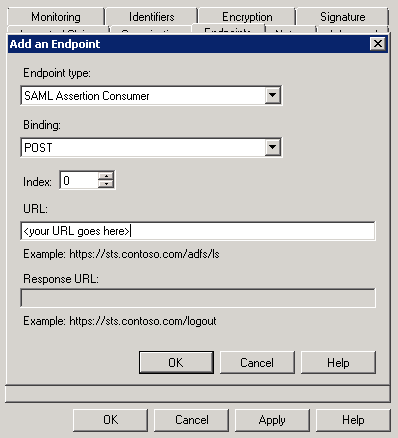 Check if you have SAML Assertion end-point showing up. 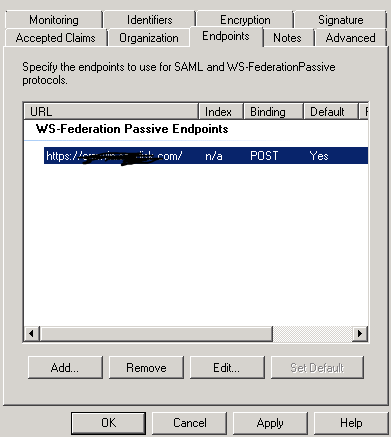 If not then click on Add and enter a new SAML assertion end-point. Binding as POST and Assertion Endpoint with the same URL as your relying party. Save and close out the Dialog. Don’t worry. You ADFS configuration will not go wrong here. The Assertion end-point would work in conjunction with the WS-Federation end-points. Once installed, the following is the piece of code which you just need to write to get back your SAML assertion token. 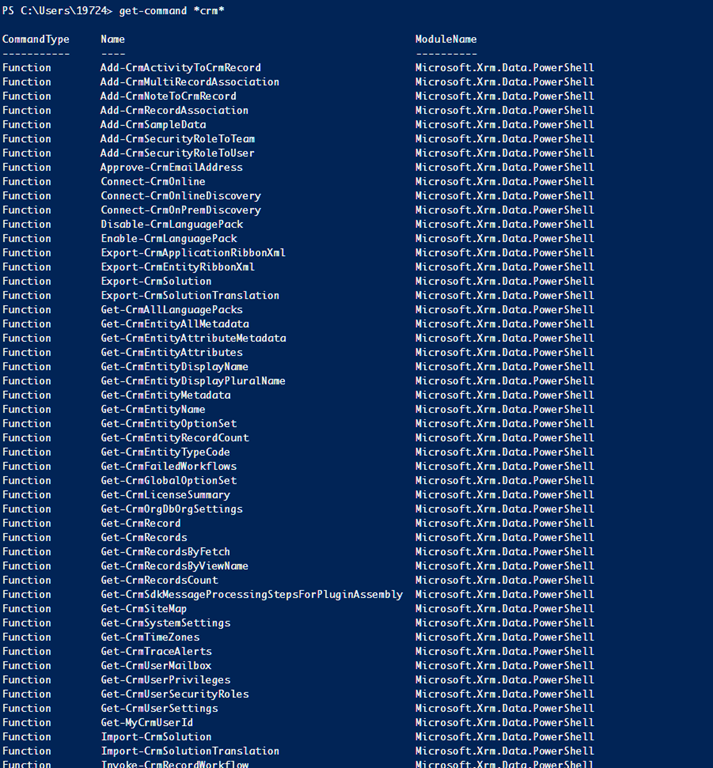 I have been using powershell for sometime now for my day to day job in my CRM project. And yes, whenever I use it, I simply love it. Just today another CRM consultant walked up to my desk and saw me running some CRM commands in PowerShell and he was simply amazed about quickly we can do stuffs without actually opening CRM. I showed him al the tricks and later I thought why not post it in my blog so that anybody who still does not know how to use it, can leverage the same. And yes you can do this everything from your desktop only. Create the folder in MyDocuments in the following hierarchy – WindowsPowerShell –> Modules and within modules paste the copied folder. 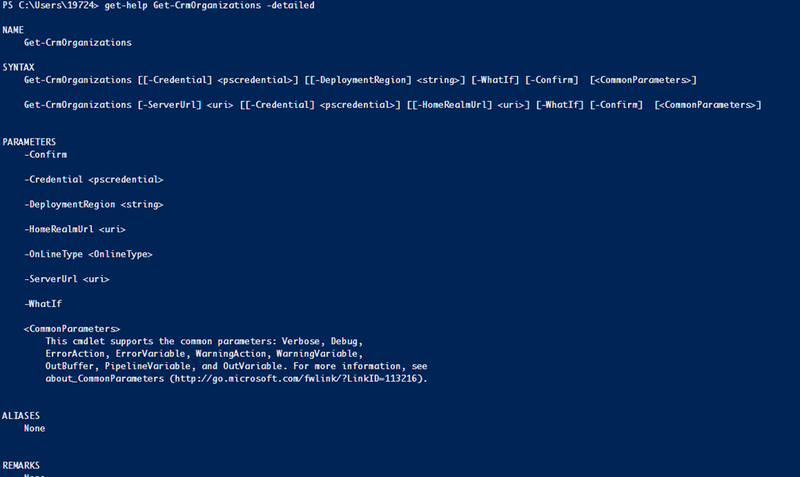 Launch Powershell ISE. You can launch just the default Powershell window but ISE will give you intellisense as well. Once the above command is executed successfully, execute the below line. Once done you are all set. But first lets see what we can do. First things first. People new to this might get overwhelmed about how to use these commands. No worries, PowerShell has your back here. To get detailed help for any of the commands just type the below line. Now the first thing you need to do is to connect to CRM organization and for that you would need credentials. Type in the command window – get-credential. A window will pop-up to take the credential. In the below example I have take the credentials in a variable called $cred so that I can use it for later use. The next step is to connect to the organization using the above credentials. And this what I do. 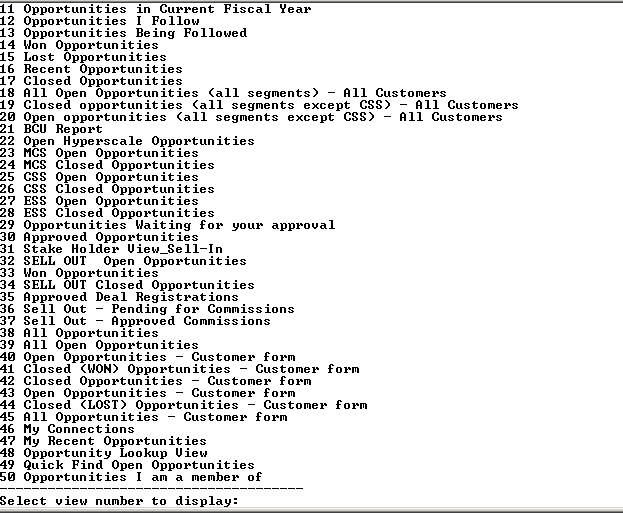 Now coming to the interesting part – exploring the crm commands. How many times we need this? I think lot of times. I have the entitylogicalname but I need the entitytypecode. No worries just one line. Now here comes the big one. What if you are writing some jscript code and you have a picklist to refer to but as with everyone you cannot remember the picklist text and value (I wonder who can. Must be a genius). Just a couple of lines below and you get it. And yes intellisense is there to help you as you write this code. Wonderful isn’t it. And did you observe one thing in the above code. It’s not case-sensitive as well unlike C#. Similar to this, you have Get-CrmGlobalOptionSet as well to explore the global option sets. Yes you can query records as well just like you do in query expressions. However you are limited as power of Query Expression goes. In the above example I just querying for all the accounts whose name begins with Test and then iterating and printing the names of the returned accounts. Say somebody would walk up to your desk and ask hey man, how many opportunities you have in your system. Say you do not have database access to run a SQL query on. And before you think of other ways, here is the code for you. How many click when you export the solution? No need to open CRM even. Here is the one liner code for you. In the above code, I am exporting a solution named ‘Sitemap’ as Managed solution and saving it in my location – c:\debajit as FromPowershell.zip. Cool isn’t it. I would not show you all. By this time you have idea already. So start exploring. And yes you have 81 of the cool stuffs to explore. And all this from your desktop without even opening your CRM. Hope this helps! Till you read one of my blog posts, happy CRMing. 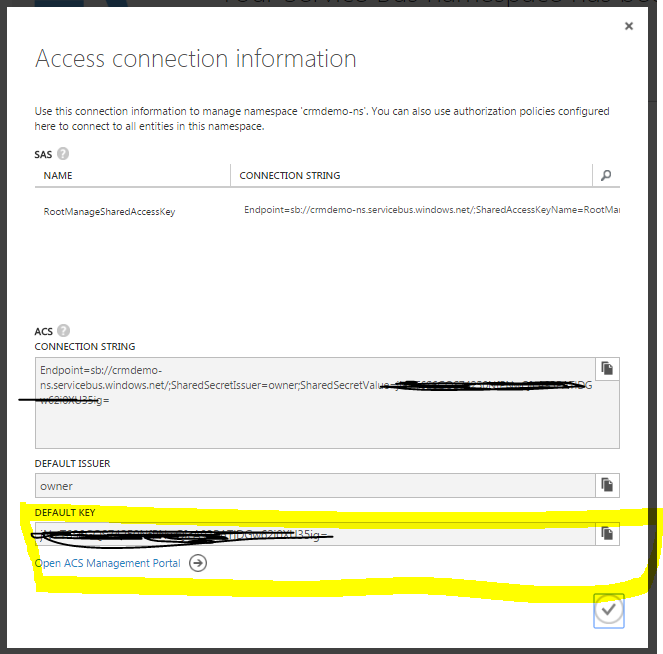 First of all, I have been able to make this work for CRM 2015/ 2016 on-premise and IFD but does not work with online version. However I am still trying hard to make it work for online version as well. Hopefully I would be able to find a solution very soon. Now coming to what the tool does. It would generate exactly the same SQL that would find if you check in your profiler, for your fetch calls. How often does it happen that a view is taking significant amount of time to execute (both personal and system views) and you wish to view what is the SQL query generated behind the scenes. And sometimes you have constructed this fetchxml from advanced find and using it in your plugins and workflows and somehow that is taking a lot of time to execute. You wish if I could have the SQL for it to check what exactly is happening behind the scenes. The profiler would generate lot of logs. Assuming you have access to the database and launch the profiler, still it is a considerable effort to every time start a new session and take out your query from the list of logs generated. Second and perhaps the most important point here. You can use this tool even if you do not have login to the database server. 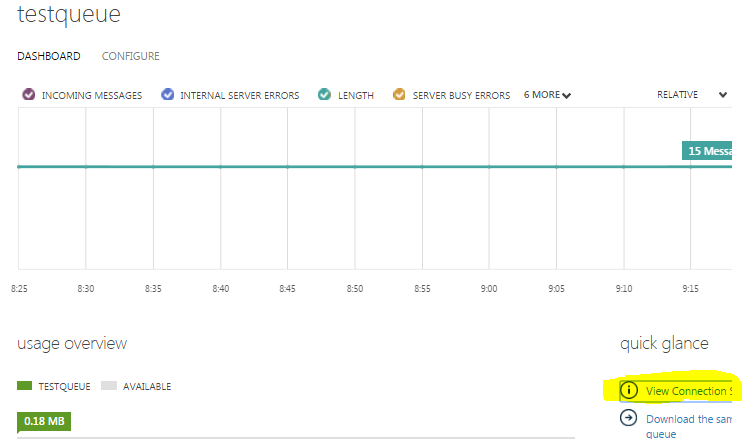 Are you guessing that you still need to have System Administrator role in Dynamics CRM to use this tool? Well then I have to disappoint you here. Even if you are a sales user but still want to peek what’s going on behind the scenes, it will allow you to do so. I have using the 2016 version and this is what I see after I unzip. The next step is to import the managed solution. Don’t worry. It is a very simple solution and it won’t even touch any of your existing entities any way. The first thing it would ask for is your organization type. I have on-premise and hence I select the appropriate choices and it guides me to enter the details. Once you enter your password and press enter, the system would search for all the organizations you have access to and show you. I have only one. So I put ‘1’ as input in the console. If you have multiple organizations configured, all would be displayed here. 1 – Press 1 if you have any fetchxml saved in a file. Ideally you would use it in case you construct an advanced find query and download the fetchxml. In case you have some custom fetchxml, save it in a file. The moment you press enter, it would ask you to select a file. 3 – Using this option allows you to view the SQL query for your personal views you created for an entity. I enter 1 and then press Enter. It asks me to select a FetchXml file. I select a fetchxml that I downloaded from advanced find to view the enabled users for my organization. After the file is selected, it takes some time to generate your SQL. When done it will show a message like below screenshot. The output file is generated in the same location as you executable. When I click open the file, I could see the same SQL being generated like the one you are familiar viewing in advanced find. Liking it. Well then let’s explore the other options as well. I enter 2 this time and then you are prompted to enter the entity schema name. Please note you have to enter the entity logical name of the entity for which you want the system views to be displayed and not the display name. I enter opportunity. When I press enter, I could see all the views configured in my system for opportunity. As it says, it saved to some file. I open the file and this is query generated below. Follow the same steps as Saved Views. Except you should chose 3 instead of 2 as input. Now coming to another important part. The above would happen smoothly for a user who is a system administrator. However if you are a normal user, running it simply would throw an error. Don’t worry. I have you guys covered here. Provide access to this entity. And you are done. The next time you run the same, you could see the the tool in action. Leave me a comment if this tool really helped you. If you wish to donate, you could do so at my paypal account debajit.prod@gmail.com. Your comments and support gives me the inspiration to keep me going. So we are almost at the end of our journey and we just have to build a client to read the message we have posted in the queue. Listen – If a client is provided with Listen privileges for the queue, the client can process incoming messages to the queue. Since you are just building a listener here, you should provide only listen privileges to the queue to the client. It is very important to understand this. If you do not understand how the privileges work and simply follow the steps documented in the SDK, you might end up with using the Management credentials of the entire service bus in your code. Believe me I have seen real life examples where the queue listener is constructed with the service bus root credentials. Those are like super-admin credentials and a person gaining access to those credentials can end up modifying the entire service bus configuration and not just the queue. So let’s see how we can set-up a Access Policy with just the listen privilege. Go to your service bus and then open the ‘testqueue’ that we created earlier. Click on Configure. A screen like below will come up. Go to ‘Shared Access Policies’ section and type in a new policy name called ListenerClient. Select Listen privilege only. After all, I just need the client to read messages right? Click on Save at the bottom. Once saved in the ‘Shared Access Key generator’ section, select the ListenerClient Policy. You would see both the primary key and secondary key. Copy the connection string of the Listener client from the pop-up window and store it somewhere. You will need it very soon. So you are all set. Now I create a console application called QueueListener. Below is the code for reading data from the queue. Just a few lines of code and you are done. And when I run the code, below is the screenshot from debugger. 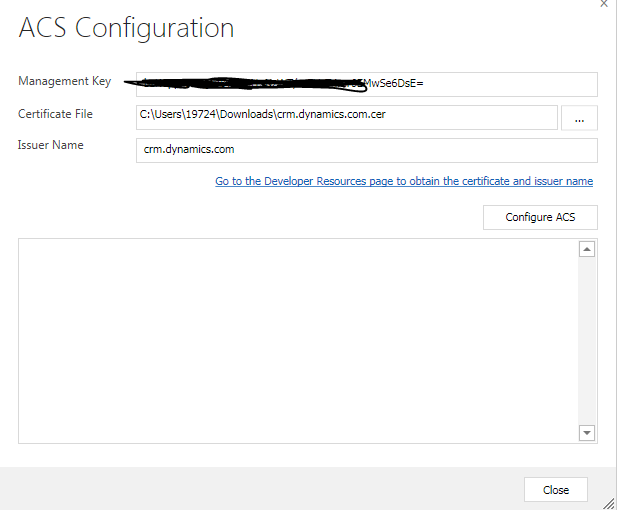 I hope my series of blogs have not only helped you to show how you can configure dynamics crm with azure but also helped you to understand the inner workings as well.